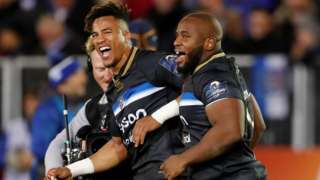 Bath avenged last weekend's Champions Cup defeat in France with a 26-21 victory over Toulon at the Recreation Ground. 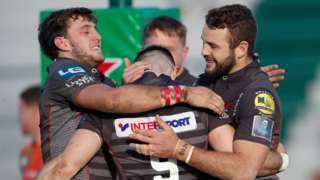 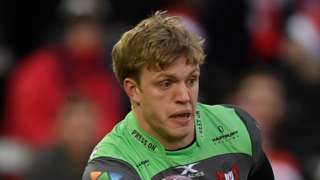 Scarlets claim a bonus point win over Benetton to keep their European Champions Cup Pool 5 campaign alive. 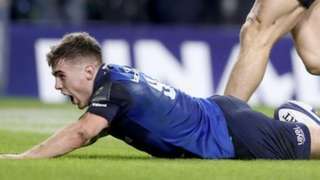 Leinster come from 14 points behind to claim back-to-back wins over Exeter Chiefs in their Champions Cup match at the Aviva Stadium.